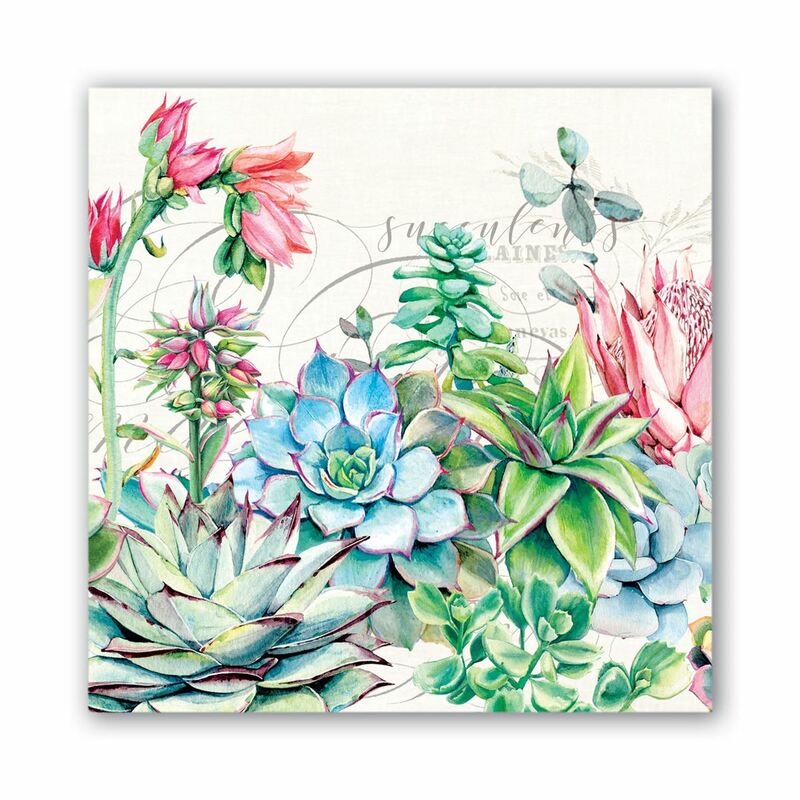 PRE ORDER - Pink Cactus Luncheon Napkins - Will Ship End of March Shop the largest selection of Michel Design Works designer napkins and more - Pink Cactus Collection. Plus free shipping on all US orders over $50. Soft, triple-ply paper luncheon napkins coordinate with our cocktail or hostess napkins and our wooden trays. 20 napkins per pack. Folded size: 6.5" x 6.5" (16.5 x 16.5 cm).